Buying a new home is a big decision. Not only is it one of the biggest purchases you’ve probably ever made, it’s also committing your family to living in a certain location. That location will be where you’ll make many of your fondest memories, so it pays to make sure you choose the right home. That’s where I come in. I am dedicated to helping you through every step of the home buying process, from determining to your budget to attending open houses to finally getting the keys to your dream home. I am committed to offering you top-tier service, industry expertise, and helpful guidance. Aside from having a roof over your head, the ability to build equity is one of the most valuable aspects of home ownership. Each monthly mortgage payment you make helps you to build equity and brings you closer to owning your home outright. Home improvements that increase the value of your property may also add to your equity. And, if property values in your area rise, your equity will, too. Most large purchases, like cars, boats or electronics, go down in value as they age. Conversely, a home usually increases in value over the years, especially if it’s been well maintained. And if your home’s value has increased substantially by the time you’re ready to move, you may be able to profit from its higher resale price. Once you build up equity in your home, you can benefit from a new avenue of borrowing through home equity loans and lines of credit. Home equity loans — loans that are leveraged against the value of your house — are usually offered at a lower interest rate than conventional loans because, with the house as collateral, they represent a lower risk to the lender. If you manage these credit sources wisely, they can become a valuable source of funds for major purchases such as a new car, vacation property, home renovations or emergency funds to use in the event of such things as a job loss or unforeseen medical expenses. Home ownership does require you to pay some extra fees, such as property taxes and interest on your mortgage balance. But fortunately, both of these expenses are usually tax deductible. As a homeowner, you can often exercise greater control over your housing costs than renters. Also, when you own your own home, you have more freedom to renovate as you choose without worrying about restrictions set out in a tenancy agreement. Plus, any upgrades you make may eventually pay off by increasing the resale value of your home. Finally, home ownership has plenty of non-financial benefits, too. When you own a home, it’s yours; you can do what you want with it in terms of decorating, gardening or renovating. Remember, you not only own the house, but the land it sits on. There are few things as empowering as knowing that there’s a piece of the world out there that belongs to you; a place you can truly call home. No one wants to contract a case of buyer’s remorse. Why, then, are there so many people out there who suffer from it? The answer is simple: most of these people engaged in a transaction without enough knowledge and information. The best way to make sure that you choose the right home is to properly prepare yourself. Your home will likely represent one of the largest investments in your life. 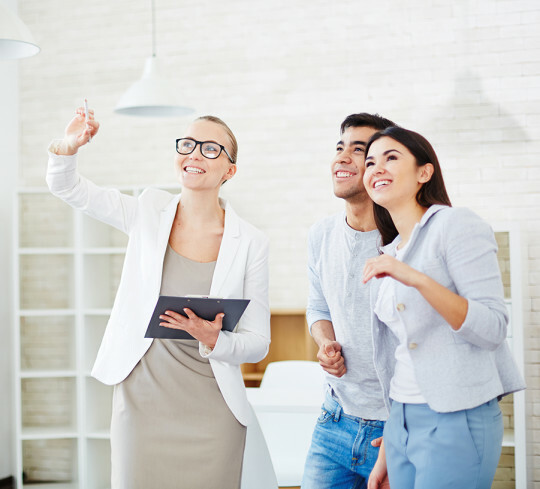 In order to make sure that the transaction goes smoothly, it’s of vital importance that you choose the right agent to represent your interests. That agent should be someone whose experience and personality makes you feel comfortable. You should also try to find an agent that is familiar with and knowledgeable about the area into which you plan to move. Do you already know how much home you can afford? There’s nothing more frustrating than looking for a home, finding the perfect one, and then discovering that it’s out of your price range. To avoid that heartbreak, speak with a lender to learn about the different financing options available to you. When you find the right lender, get the paperwork processed so you’ll be ready to buy when you find the right home. In order to make an educated decision, you need to know what’s available and how much it’s going for. Once you’ve found some homes you like, save those searches and sign up for property watch so that new listings will be emailed to you. The best homes move fast, so you need to make sure that you’re on top of the available inventory to avoid missing out! No one knows the home better than the seller of the property. The problem is that it’s not always in the seller’s best interest to disclose all they know. If you can discover the seller’s motivation for selling, you might be able to negotiate a better deal on the home. Make sure you find out the last time service was performed on the roof, furnace, and water heating. Asking the right questions now can end up saving you a lot of money in the long run. The last thing you want to discover after you’ve bought a home is that you’ve purchased a “money pit”. A “money pit” is a home that’s full of defects that will end up costing you a lot of money. Save yourself a lot of time in future litigation and renovation by bringing in a licensed home inspector before you buy. If any problems are found, it will steer you away from a bad decision or help you negotiate a better price.